Summer is almost here! That means new opportunities to get out and about. 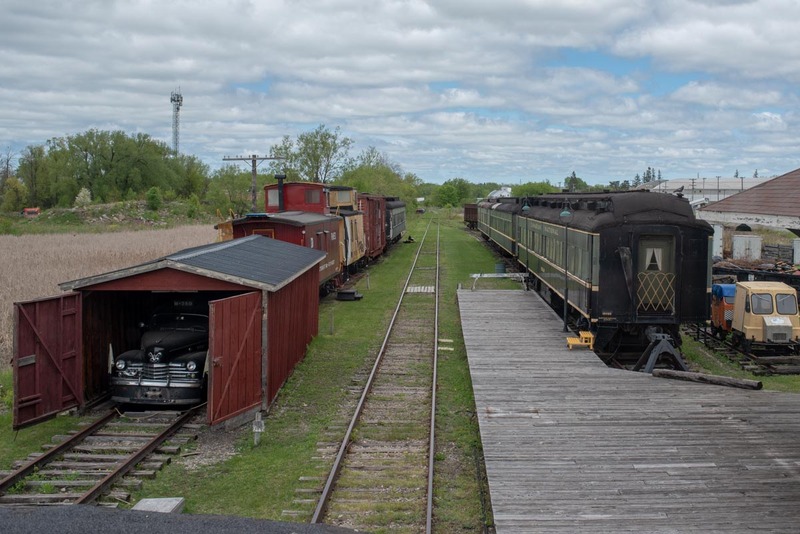 So Lost Ottawa took a trip to the Eastern Ontario Railway Museum in Smiths Falls, which was a major railway town from the 1850s into the 2000s. 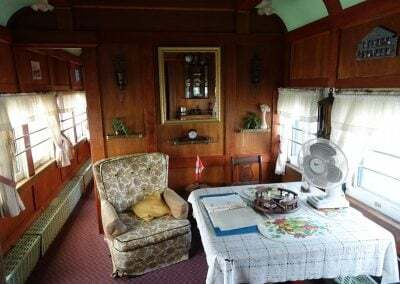 The railway museum is a reminder of those times, but one of those lost-in-plain-sight kind of places that you might have passed by a million times without going in. 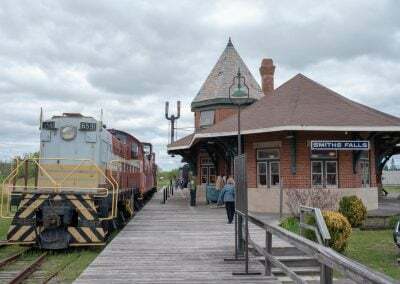 To be honest, we weren’t expecting much because we had heard that the museum has a lot of rolling stock, a station building and a yard to take care of, but hardly any money. You do see evidence of the lack of cash when you visit. That just makes it all that much sweeter to report that we were very pleasantly surprised. Hats off to the volunteers! 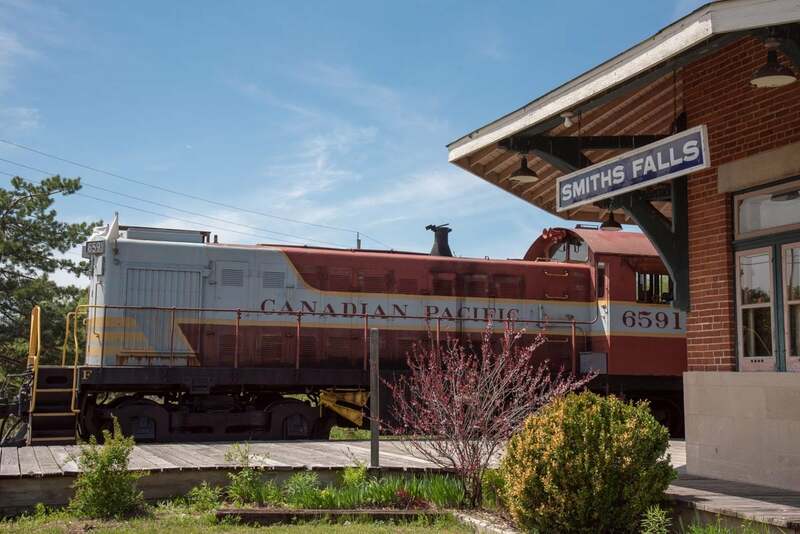 The highlight of our visit was a ride the museum offered on two cabooses pulled by Canadian Pacific diesel locomotive 6591. 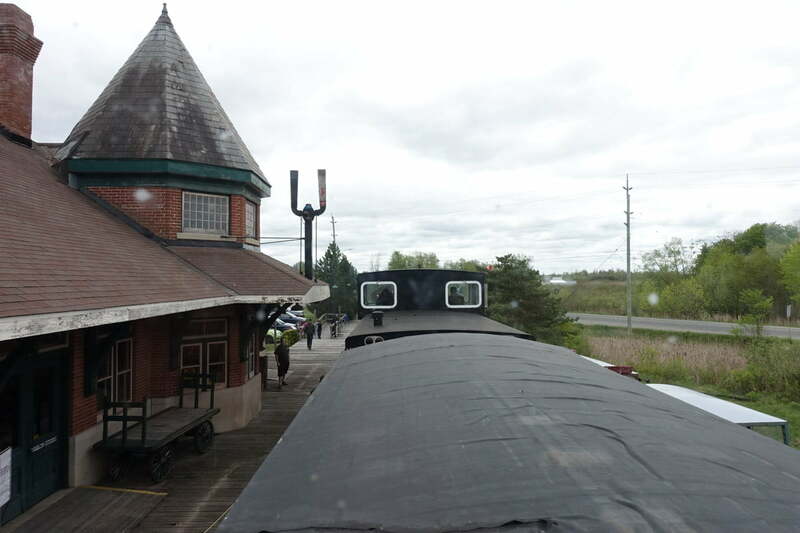 Looking out from the caboose as the train backs out of the station. 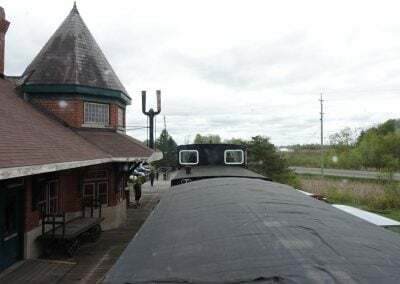 We managed to get on quick and snagged a spot in the cupola, which is the raised part of the caboose with the windows, where members of the crew looked out see if there there were any problems with the equipment. 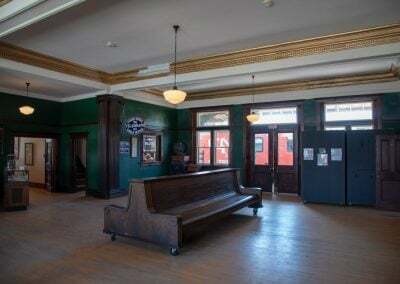 From there we were able to watch the train back roll out of the station, around to the other side, and back again. 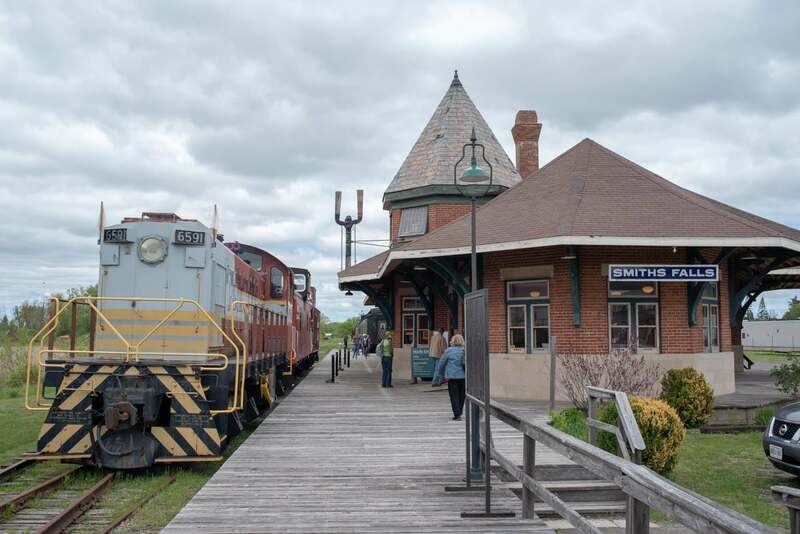 It was a short trip, but the volunteers explained all sorts of things about Smiths Falls and the role of the caboose in railway life, and everyone left the train with a smile on their face. Kids especially liked it. 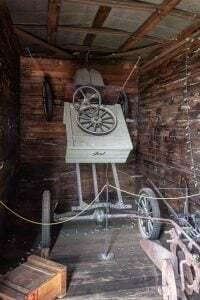 Other highlights of the museum are the station building, and a rare dental car once used to provide dental care to Ontario’s rural communities. 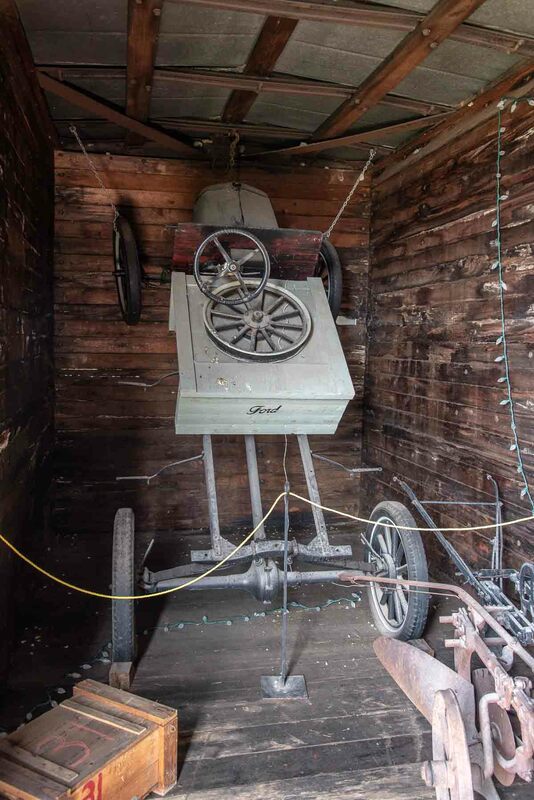 How Model T Ford chassis were loaded in boxcars. On the other side of the yard is a bright orange snowplow car, looking something like a Cylon from Battlestar Galactica. Kids had a riot climbing around inside it, as well as operating the hand-powered speeder nearby. There’s also a boxcar with an exhibit inside. Some might find the museum a little “thin” without a train ride, so people should be aware that the train doesn’t operate every day. However, according to the their website, the museum will be offering train rides on July 2, August 26 and 27, as well as October 7 and 8. 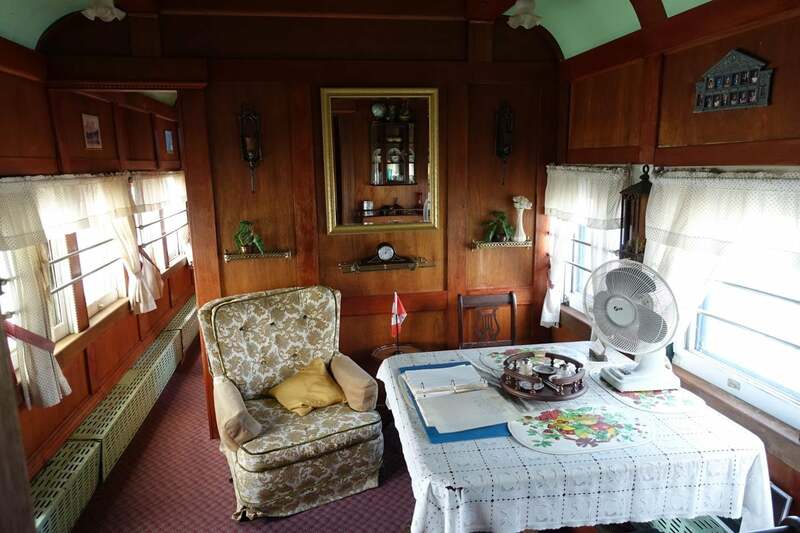 On December 2 and December 3, Santa will visit on the North Pole Express. I’d advise confirming the dates before you go, but do check out the museum when you get the chance. We left thinking it made a fine destination for a drive in the country on a sunny afternoon. The museum is open 10-5 every day of the week in summer. 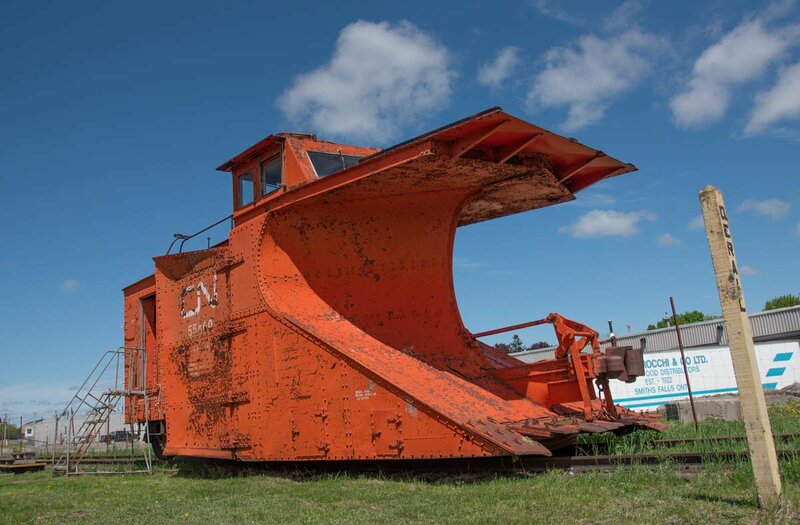 To get there, take Highway 417, then 7 to Carleton Place. 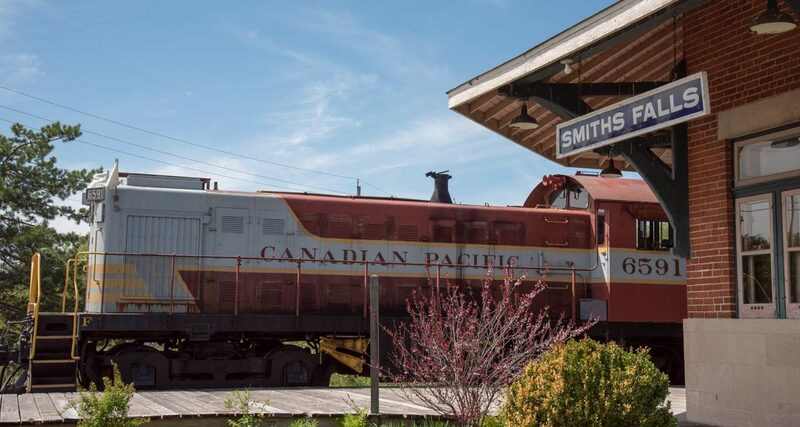 Turn left onto Highway 15 and stay on 15 until you get to the T-junction in Smiths Falls. If you remember how to skirt downtown (which we all did when 15 was a major route to the 401 and Toronto), do that. Otherwise, turn right onto Cornelia Street West, bear slightly right on Cornelia at Elmsley, turn left off Cornelia onto William. Turn left off William at the sign for the Museum. 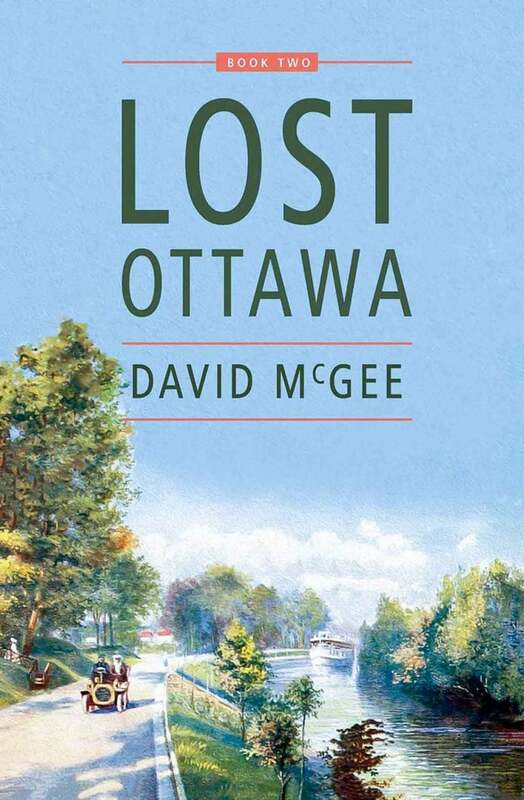 Takes about an hour to get there from Downtown Ottawa.